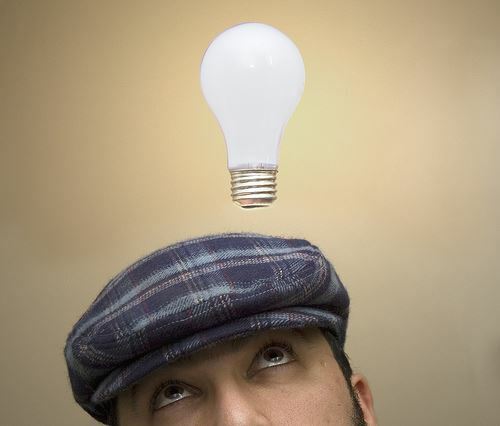 Are you stumped when it comes to ideas for new content? Content marketing is so important these days and we are generating so much content. Site pages, Blog posts, guest Blog posts, tweets, Facebook updates, articles, press releases and more. With all this demand for content, getting creative in selecting topics is increasingly important. Often clients come to me and ask me to help them develop a list of topics and I’ve never yet been stumped by any industry or niche. I love getting creative and finding new ways to sharing info and finding new info to share. You start by deciding what it is you have to say and what your goal is. Do you hope the content will go viral? Are you looking to make a sale? Prove your credibility? Educate a customer or potential customer? Knowing your audience and your goal is very important. Once you’ve got that all nailed down, you can move on to how you want to present the content. You could do an infographic, a short to-the-point Blog post written casually, you could do a more formal essay style post or use a list to teach key points. Let’s take a look at some “types” of posts that are always popular and last the test of time. Lists never fail to please. They are easy to read and absorb and they always leave people wanting more. Dangle a list in front of someone and they are sure to want to read it to see how many of those listed items they knew! – The top 6 things you should never…. It’s helpful if you create a list of the problems, questions or concerns your target market has, then you can refer back to the list often and create content that offers solutions to their problems or answers to their questions. Whether your goal is to just share helpful information or convince them of your knowledge, so they choose to work with you, a “how to” article is always a good approach to take. If you are stumped about what topics to cover and feel like it’s all been said before, in addition to brainstorming, you can get a little help from Google. 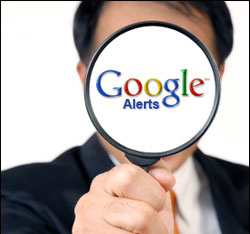 You can set a Google alert to see what people are Blogging about and see what the buzz is in your industry. You’ll see what topics are trending and what discussions are taking place. Just remember, if you do that, don’t just regurgitate what others are saying. Add some personal commentary or your own unique view on the situation, otherwise there is no reason for anyone to read your stuff. You can also look at your FAQs (or create them if you don’t have any) and expand your answers into an article whenever it makes sense. So many times people keep their FAQs brief and too the point, so this is your chance to expand on key areas and eliminate confusion. Ask your site visitors and customers what their biggest questions are so you can create articles responding to their questions. Of course using Twitter or Facebook is a great way to get feedback. You may have read my comments on consumption in the past. Teaching people to consume your products is important, so write an article that teaches people how to use what you sell. You can also invite a guest Blogger to contribute content to your site. 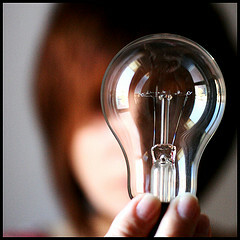 That brings fresh ideas, insights and writing styles to keep your Blog interesting. Interviews are always fun, so pick a thought leader in your industry or someone in your company that has some great inside knowledge and interview them. You can get double mileage out of this – film it so you have a video to share and write up the transcript so you get a Blog post out of it. I don’t believe there is any industry out there that you can’t come up with great article topics for. Knowing your audience intimately will also be helpful in guiding you through topic ideas. So, put on your creative hat and start brainstorming – and then get writing!